My least favorite Austen but how bad can that be? If you love Jane Austen, you have to read and re-read them all, but this is the one I'm ambivalent about, that I enjoy in spite of the priggish heroine and hero and a plot line that emphasizes a code of conduct foreign to us today. Fanny is just not very appealing. One feels sympathy for her timidity and delicacy, but she's pretty pathetic. At the same time, she is silently judging those around her by a very strict and moralistic standard, with more apparent concern for propriety than for kindness. She winds up being right, but I always felt that Austen loaded the dice here, that in particular Mary Crawford's ugly letter at the end was out of character (framed! forced by her creator to justify the heroine's cold, judgmental response to Mary's warmth and generosity). That said, Austen's humor alone (particularly effective re Fanny's aunts) make it worth the trip, and well, everything else about Austen's lovely language, interesting characters, amusing dialog. And on the umpteenth reading (yes! and this is the Austen I don't like! that's how beguiling she is), I did find myself able to see it a little differently. If Fanny sensed the superficiality of the Crawfords' attractive warmth (as opposed to assuming it because she disapproves of their more unconventional outlook and feels jealous of their appealing qualities), that would put her in the right. But she does by that scenario deserve winning her incestuous love (she was pretty young when she started living as a sister to him, and we certainly now consider 1st cousins too close anyway). And I could never begrudge underdog Fanny the general love and acceptance she earns by the end. This book took a few tries for me to get into, but once I did, I got REALLY into it and read it voraciously. Fanny, our reserved heroine, is more of the "Eleanor from 'Sense and Sensibility'" type than the "Elizabeth from 'Pride and Prejudice'" type. What is remarkable about her is how deeply shy she is and how great an effect this has on the way people treat her. All the same, she has a steadfast sense of moral rightness and never loses it in the face of the disrespect heaped on her from all sides. Austen follows Fanny's life from a very young age to her growth into adulthood and manages to believably develop her personality within the odd circumstances of Fanny's "adoption" into her rich relations' household. 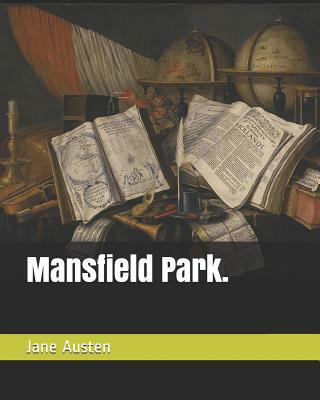 At it's heart "Mansfield Park" is less about romance (although there is plenty of it) than about the struggle to hold onto one's own sense of self, come what may. As far as Jane Austen novels go, I found this one a bit difficult to get in to. Fanny is such a reserved, gentle character, that she's hard to really relate to. However, I found by the second volume I was much more attached to the story. This is definitely a heavier novel than Pride & Prejudice, which feels much more like a romance. Mansfield Park dwells much more on pointing out virtues and vices. Ultimately, I think the lesson that Austen portrays in this novel is against vanity, and if you're tough enough to muddle through the beginning, you will be well rewarded by the time you reach the end. It's a very fulfilling novel.